The Hilux is a lightweight truck that has been manufactured by Toyota since 1968. Its first ever model (that was assembled in Tokyo, Japan) was released in North American markets in 1969 and it’s commonly regarded as a pickup truck or a compact truck in the United States. Interestingly enough, due to its high durability and reliability, this brand of car has become popular with military and terrorist groups in many war-torn regions. Toyota is all set to launch its latest upgraded model of Hilux in the upcoming year and many around the world have their eyes on it. 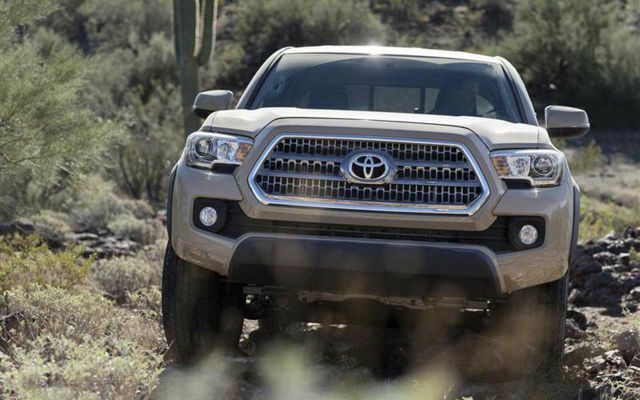 The popularity of this vehicle becomes crystal clear from the fact that Toyota has been able to sell a total of 16 million units of Hilux to this date. Also, this truck was highlighted in a BBC’s motor show Top Gear in episode 5 and 6 of Season 3. Here is a detailed review of Toyota Hilux 2017. Just a single glance will make it apparent that something has been altered on the front portion of the car. This new model of Toyota Hilux 2017 will have beautiful daytime LED running lights that will undoubtedly increase the overall beauty of the car and will definitely draw many bystanders to it. The bumpers of this new model will also be much bigger and will have air inlet in it that will help in cooling down the engine of this truck. 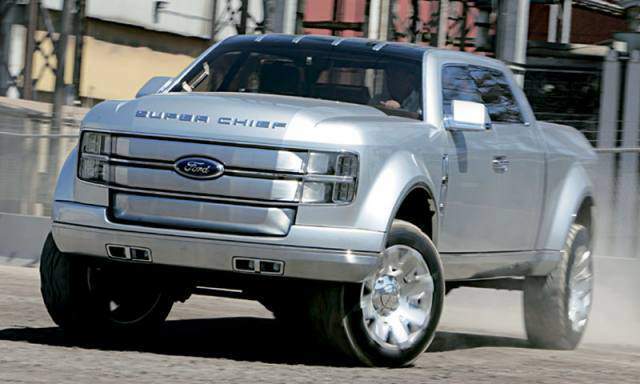 The upcoming model of this truck will be offered in two different body styles i.e. 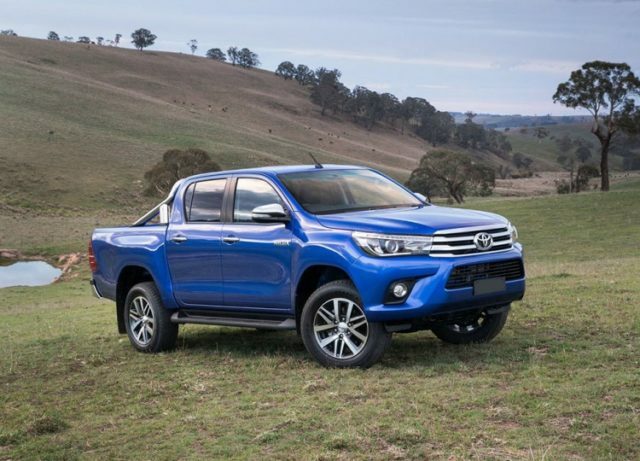 single cab and double cab, however, information related to the body trims of upcoming model of Toyota Hilux are still not made available by the company officials. 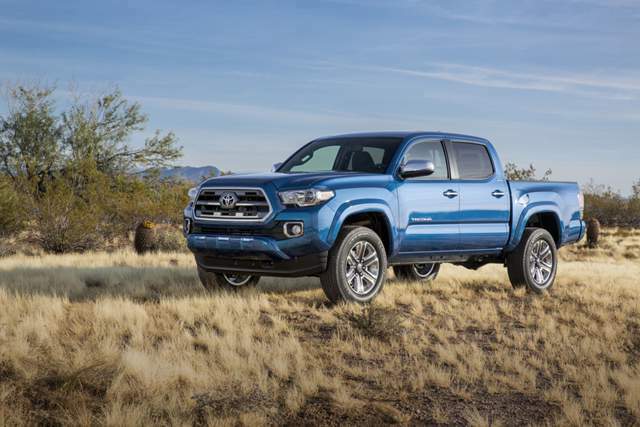 The curb weight of the truck is less than its previous model as the engineers have used light weight materials in the manufacturing of this truck. This will further improve its the fuel efficiency and will also enhance its performance. Returning to the curb weight, it is 1570 kg. 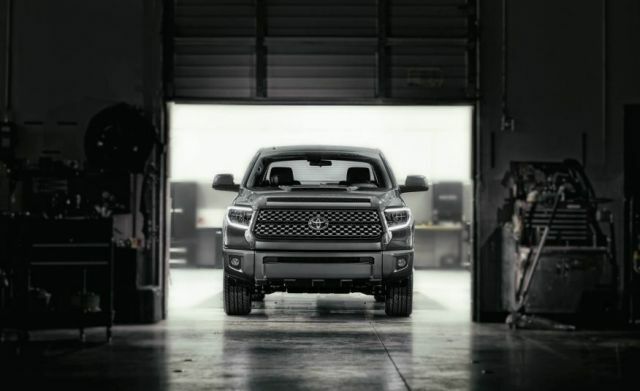 The overall length of this upcoming truck will be around 210 inches while its width will be around 73 inches and the truck will be capable of towing 7716 pounds of weight. Well, with that much towing capacity you can tow your small single unit mobile home easily. Sitting in the cabin of this truck will make you feel as if you are inside a luxurious car. That’s right, although Hilux is often called a pickup truck, the interior is not something that you may visualize when mentioned the word ‘truck’. Leather woven upholstery, quiet cabin, modern audio player, Bluetooth connectivity, 4.2 inches color display with navigation control system, this is not just an ordinary truck, it is something that truck drivers have always dreamed of. The Toyota Hilux 2017 will also have a blind spot warning system, lane departure warning system, traction control and stability control to make the drive as safe as possible. 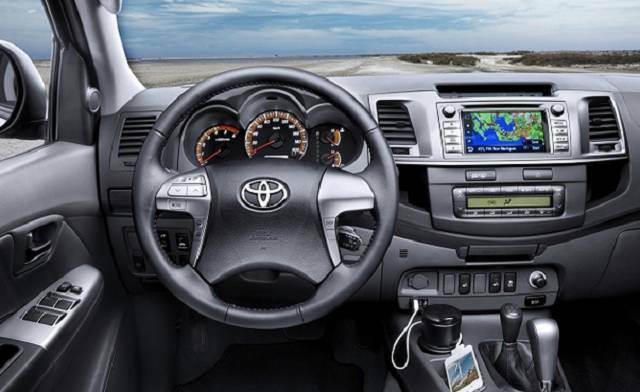 The Toyota has offered the potential buyers of Hilux to choose from several engine options. 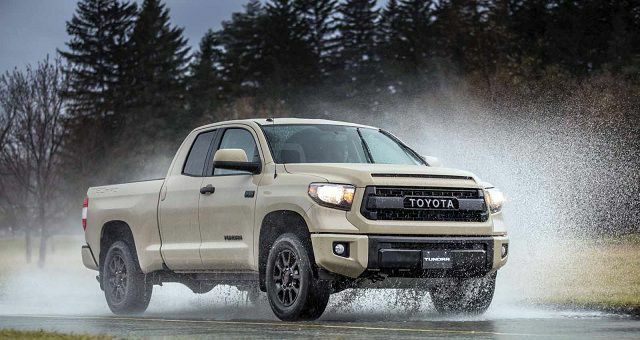 The base model of Toyota Hilux 2017 will have a 2.4 liter 4-cylinnder engine that will be capable of producing 295 lb-ft torque and will be able to produce 160 hp of energy that will enable this truck to achieve a maximum speed of 115 mph. The second engine which is expected to be placed under the hood of upcoming Hilux model will be a 2.8-liter turbo diesel engine that will be capable of producing 331 lb-ft of torque and 174 hp of energy. A 4.0 liter which also expected to be placed under the hood of more advanced and expensive trims of Toyota Hilux will be able to produce energy of around 278 hp. 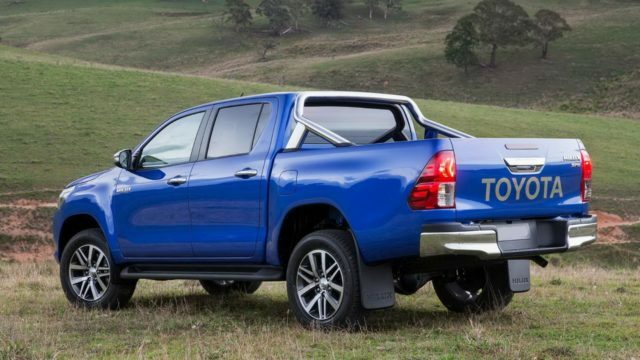 The basic trim of Toyota Hilux 2017 will be able to achieve a speed of 60 mph in 9.5 seconds. Well, that’s not very good when compared to the speed of SUVs but one thing to realize here is that Hilux is designed not to be a speedy truck but a rough and tough vehicle that can function perfectly in any kind of topography or geography, and that’s what it does impeccably. The Company officials haven’t yet disclosed when will the latest model of Hilux will be released and what price tag will it carry but according to rumors, this upcoming model will be priced a little higher than the previous models of Hilux, so the starting price of the base model can be expected to be around $18,000. The vehicle is expected to be released in the last quarter of this year or the first month of next year i.e. in January 2017. Any other information released by the company officials or rumors related to Toyota Hilux 2017 will be posted on our website, so keep visiting for more updates!